Buddhism in Vietnam is Buddhism that had been localized to Vietnam from India and later from China. Vietnamese Buddhism has many characteristics different from Buddhism practiced in other countries. Buddhism is the most influential religion in Vietnam, with about 50 percent of Vietnamese being Buddhists. The number of practicing Buddhists numbers about three million, those who frequently visit Buddhist temples and participate in Buddhist rites number about ten million, and those living under the influence of Buddhism number in the tens of millions. Buddhism was imported into Vietnam fairly early, at around the beginning of the Christian Era with the legend of Chữ Đồng Tử studying Buddhism from an Indian monk. Luy Lau (in Bac Ninh Province), the capital of Jiaozhi District (Giao Chỉ) soon became an important center of Buddhism. 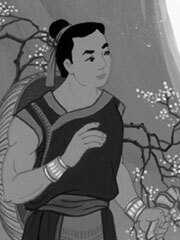 Legends about Thạch Quang Phật and Man Nương Phật Mẫu appeared with the teachings of Ksudra in around 168-189. Because Buddhism was imported directly from India, the word Buddha was directly imported into Vietnamese as Bụt, still in use in many folk tales. At that time, Vietnamese Buddhism was influenced by Theravada Buddhism, and Bụt was seen as a deity who helps good people and punishes bad people. In the 4-5th centuries, because of influence of Mahayana Buddhism from China, the word Bụt gradually lost its Buddhist meaning and was replaced by Phật from the Chinese pronuncation of Buddha. Buddhism took roots in Vietnam very early. Lý Nam Đế (who became king in 544) was also known by the name Lý Phật Tử (Lý the Buddhist). In the Ly and Tran dynasties, Buddhism developed rapidly, was seen as the state religion, and influenced all aspects of life. In the Le Dynasty, Confucianism replaced Buddhism as state religion and Buddhism entered a period of decadence. At the beginning of the 18th century, King Quang Trung took efforts to revive Buddhism by building and renovating temples, but died before accomplishing his goals. In the 20th century, although strongly influenced by the process of Westernization, Buddhism experienced a resurgence, beginning in the southern cities with important contributions from the monks Khánh Hoà and Thiện Chiếu. from the beginning of the 20th century until now is the period of resurgence. Three schools of Mahayana Buddhism, now most influential, were imported into Vietnam: Zen Buddhism, Pure Land Buddhism, and Vajrayana Buddhism. The communist government’s attitude toward Buddhism and other faiths being practiced remained one of tolerance as long as the clergy and faithful adhered strictly to official guidelines. These guidelines inhibited the growth of religious institutions, however, by restricting the number of institutions approved to train clergy and by preempting the time of potential candidates among the youth whose daily routine might require study, work, and participation in the activities of communist youth organizations. In an apparent effort to train a new generation of monks and nuns, the Vietnam Buddhist Church reportedly set up one Buddhist academy in Hanoi in November 1981 and another in Ho Chi Minh City in December 1984. These academies, however, served as an arm of the state.